Properties in Central Eleuthera average 4.8 out of 5 stars. 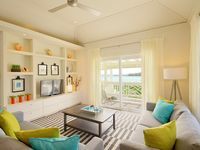 Property 6: Complete studio unit directly on Pink Sand DOUBLE BAY beach! "Senza Nome"
Property 8: 2BR, 2BA Apt Suite: Spacious & modern w/ wonderful Bay views! Property 10: Cosy and affordable Seagrape House. 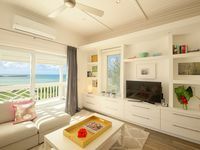 Property 14: Lily Suite - Spacious Apartment for a family get-away in the tropics! Sunny, Quiet, Comfortable Affordable Suite! Centrally located! Near to beaches! Property 16: Sunny, Quiet, Comfortable Affordable Suite! Centrally located! Near to beaches!